ReelFlies Signature Nymph Selection 1. This amazing fly assortment includes 18 of the most deadly Trout flies that we make, 3 of each pattern. 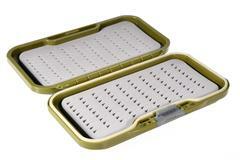 These are the same flies used by many of the professional fly guides and also The New Fly Fisher TV show. 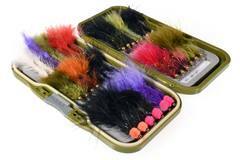 As per all our Signature flies, we only use our top tier tiers and most this collection is tied in-house.